Julie joined Watsi on July 30th, 2014. Four years ago, Julie became the 270th member to automatically support a new Watsi patient every month. Since then, 4,816 more people have become monthly donors! 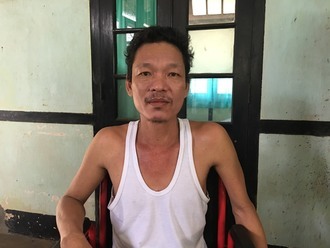 Julie's most recent donation traveled 8,300 miles to support Kyaw, a man from Burma, to fund an amputation. Julie has funded healthcare for 55 patients in 11 countries. Michael is a day laborer from Kenya. He is the only child to his single mother. He works as a mechanic. On January 20, Michael was involved in a motorbike accident. He sustained a closed fracture of his left clavicle bone and bruises on his face. He is in pain and is not able to use his left hand easily. Fortunately, surgeons at our medical partner can help. On January 28, Michael will undergo a fracture repair procedure, called an open reduction and internal fixation. Now, our medical partner, African Mission Healthcare Foundation, is requesting $998 to fund this procedure. “I am still young and was hoping to have my own family soon. I kindly seek for help so that I can get back to my work and plan to have my own family,” says Michael. Bettcherly is a student from Haiti. He lives with his mother and two brothers in a small city in southwestern Haiti. He likes attending school and listening to soccer on the radio. Bettcherly has a cardiac condition called rheumatic mitral and aortic regurgitation. Two of the four valves in his heart are severely damaged due to an infection suffered earlier in childhood. As a result, his heart cannot adequately pump blood through his body. Bettcherly will fly to India to receive treatment. On February 26, he will undergo cardiac surgery, during which surgeons will remove his two damaged valves and implant artificial replacements. 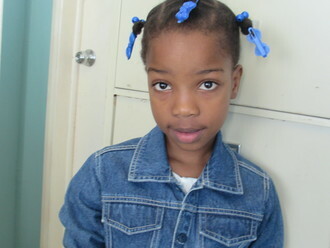 Our medical partner, Haiti Cardiac Alliance, is contributing $5,000 to pay for surgery. 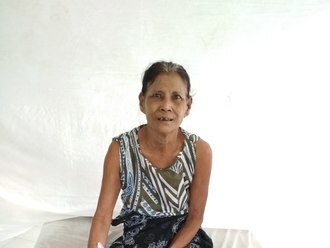 Bettcherly's family also needs help to fund the costs of surgery prep. The $1,500 bill covers labs, medicines, and checkup and followup appointments. It also supports passport obtainment and the social workers from our medical partner, Haiti Cardiac Alliance, who will accompany Bettcherly's family overseas. His mother says, "Our family is very grateful to everyone who is helping our son to be able to have this surgery." Saoe is a rice farmer from Cambodia. She has four sons, two daughters, and fifteen grandchildren. She likes to watch the news in her free time. Two years ago, Saoe developed a cataract in each eye, causing her tearing, irritation, and clouded lenses. She has difficulty seeing things clearly, recognizing faces, and going anywhere outside. When Saoe learned about our medical partner, Children's Surgical Centre, she traveled for three hours seeking treatment. On December 4, doctors will perform a small incision cataract surgery and an intraocular lens implant in each eye. After recovery, she will be able to see clearly. Now, she needs help to fund this $398 procedure. Her son says, "I hope her surgery is a success and that she can see clearly after the operation. Thank you." Saw Htee is 45-year-old husband and father from Burma. He is a semi-subsistence farmer, who sells his crop of beans once a year for income. On August 26, 2018, Saw Htee and two of his son-in-laws were cutting wood in the jungle. All of a sudden, a thigh-sized tree, which Saw Kleet was cutting, fell on him. Trying to dodge the tree, his right leg slid between two rocks, and he fractured his lower right leg. Currently, Saw Htee has pain in his lower right leg and back. He cannot sit down or move. With the help of our medical partner, Burma Children Medical Fund, Saw Htee will undergo surgery to reset his fractured bones and ensure proper healing. The procedure is scheduled for August 27 and will cost $1,500. 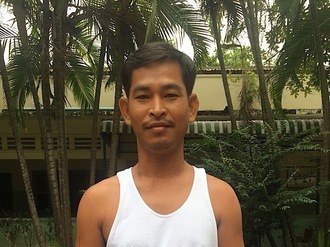 As the main breadwinner for his family, Saw Htee will return to work on their farm. 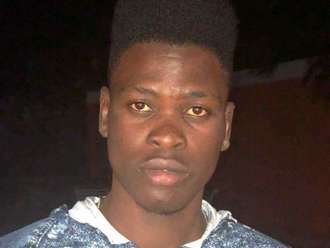 "I feel very worried now," says Saw Htee's wife. "Now I don’t have anyone to look after our bean farm. 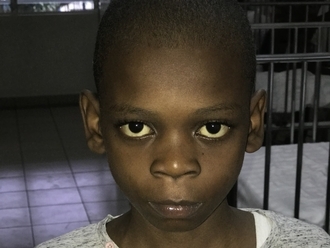 However, I'm a bit relieved that your organization is providing support for his treatment." Sophoeun is a construction worker from Cambodia. He has three sons. He likes to tend to his vegetable garden at home. Six months ago, he was in a motor vehicle accident that caused a fracture in his right forearm. It is difficult for him to use his right arm and work. Fortunately, surgeons at our medical partner, Children's Surgical Centre, can help. On July 18, Sophoeun will undergo a fracture repair procedure, which will cost $430. This procedure will help him regain mobility and function in his arm again. He says, "I hope after the operation I am feeling better and can move my arm without pain." Margaret is a farmer from Kenya. She is a mother of three children. She lost her husband in 2013. Margaret has been diagnosed with breast cancer. Without treatment, the cancer may spread to other organs. A mastectomy, a surgery to remove breast tissue, has been suggested to rid her body of breast cancer and to prevent the cancer from metastasizing. 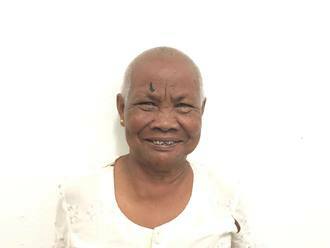 Our medical partner, African Mission Healthcare Foundation, is requesting $816 to cover the cost of a mastectomy for Margaret. The procedure is scheduled to take place on April 3. After treatment, Margaret will hopefully return to a cancer-free life. Margaret says, “My hope is to be treated and continue bringing up my children. I hope that soon I will be treated and resume my normal duties."